Since August 25, thousands of families have been crossing the border into Bangladesh to escape sectarian violence in Myanmar’s Rakhine state. 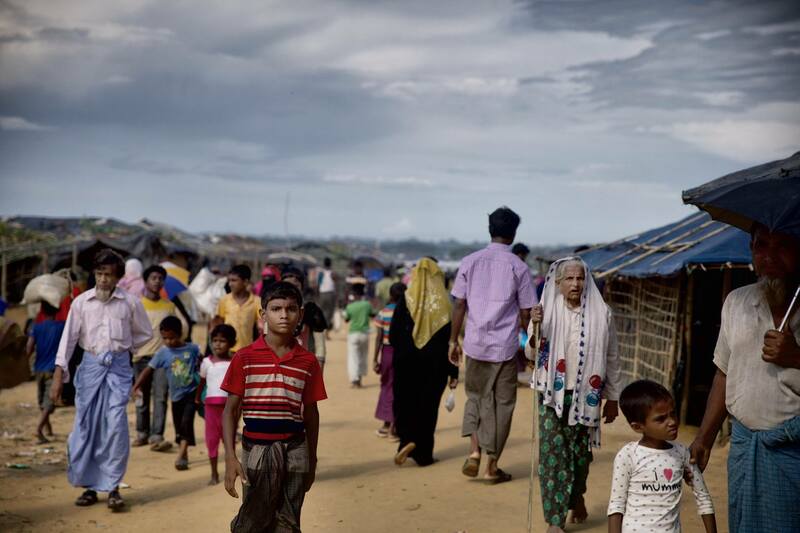 More than 500,000 have entered Bangladesh over the past month. Families are extremely vulnerable, having experienced severe trauma and are entirely reliant on the humanitarian community for basic necessities such as food, water, shelter and protection. A majority of the displaced are currently living in makeshift shelters of bamboo and thin plastic sheets, leaving them exposed to the elements. A ShelterBox Response Team is on the ground in Bangladesh, working to understand more about the needs of families affected by the Rohingya crisis and to determine the best way ShelterBox can help. More than 100,000 households are completely destroyed, and 600,000 are partially damaged due to the flooding. This destruction has forced eight million people from their homes, while the same extreme weather phenomenon has affected large swathes of India, Nepal and Myanmar too. We have a team in the country, working with Rotary contacts, authorities and other aid organizations to understand if we might be able to help those who have lost everything in the catastrophic flooding.